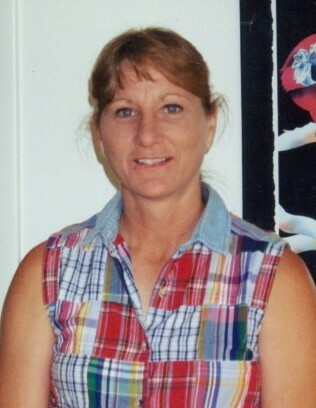 Pam Nesbit, 58, of McFarland Road, Carlsbad, New Mexico, passed away Tuesday, February 5, 2019 at her home. Visitation will be 4:00 PM – 7:00 PM, Monday, February 11, 2019 at Denton-Wood Funeral Home. A vigil is scheduled for 7:00 PM, Monday, February 11, 2019 at Denton-Wood Funeral Home Chapel. Mass of Christian Burial is scheduled for 10:00 AM, Tuesday, February 12, 2019 at St. Edward Catholic Church with Fr. Francis Rayappan officiating. Cremation will take place following the service. Denton-Wood Funeral Home is in charge of the arrangements. Pam Nesbit was born November 2, 1960 in Amherst, Texas to Glen Dale and Alta Fern (Price) McCoy and moved to Carlsbad with her family as a young girl. Pam married Dale Nesbit January 21, 1978. After they married, Dale and Pam spent several years on the road while Dale was doing electrical work. Pam loved kids and was affectionately known as “Aunt Pammy” to many. Dale and Pam settled back down in Carlsbad when Krystle was born. She was always involved in Krystal and Justin’s sports and rodeo activities. Pam enjoyed fishing and hunting, but most of all she adored being with her grandchildren. She was preceded in death by her parents and brother, Dale McCoy. Survivors are her husband, Dale Nesbit of Carlsbad, NM; daughter, Krystle Beavers and husband, Jarad; son, Justin Nesbit of Carlsbad, NM; grandchildren: Kaleb Beavers, Kay’lee Nesbit, Casey Beavers and Camron Beavers; brother, Glen McCoy and wife, Frances of Carlsbad, NM; sister, Deanna McCoy of Carlsbad, NM; brother, Jerry McCoy of Carlsbad, NM; aunts: Kay Hinds and Effie Dingler and numerous nieces and nephews.